It will be better to introduce myself to you first. 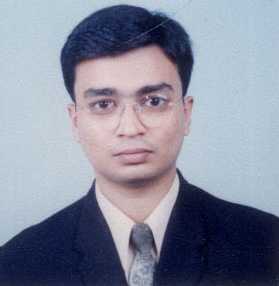 My name is Faisal Iqbal, a student of MBA after BBA (Hons.) at Hamdard Institute of Management Sciences. And have computer -Web Page Designing- interest. Mr. Waseem Ahmed is my uncle. The Waseem's Islamic Folder - AHLAN is something special to me. One fine day Mr. Waseem Ahmed expressed his spiritual views to do something for Islam and for the Muslims. And it was something that a Muslim will never regret to do - a good deed. So together we came to point that he will provide all the information about the Islamic History, Holy Places and the Historic events of Islam, and I will going to present this beautiful idea on the net by building web page. This site has dual benefit. Because Mr. Waseem has performed Umra and visited every nook and corner of historic holy places, he described things in a way that pilgrims can get ease and benefit out of his experience. Second, those who has performed Umra or Hajj, they can recall their experiences, Like I am who by the Grace of Allah has performed UMRA in Jan 2000. It has been easy to me because by the grace of ALLAH, I have also performed Umra and observed all the spiritual places over there closely. The title "Waseem's Islamic Folder - AHLAN" is given because you can easily turn around towards your topic through the list. This title strike in my mind when I typed the whole data. Because when it furnished it looked like a folder. I always try to make this site easy to use with good look and presentation. If your speakers are on you will hear the sound of Bismillah -ir- Rehman -ir- Raheem on First page, Makkah Page and Madina Page. I have also Included some special Islamic Downloads like Islamic Screen Savers and wall Papers, Quran and Azan. In this Site I have also made an attempt to make Islamic Postcards. You can send or receive Islamic Cards of new year (Muharram), Eid-ul-Fitr, Eid ul-Azha, Ramazan and for other Islamic Events. These cards are powered by our own cgi-support servers. taught us, And give us the best reward out of his never ending kind treasures. -AMEEN. "